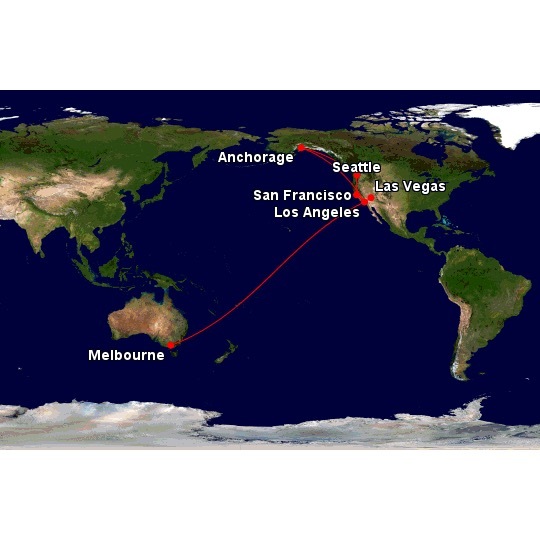 This trip had 5 legs and 8 flights across 3 airlines (QANTAS, American Airlines and Alaska Airlines). I traveled 33,996 km during my flights and 43 hours 10 minutes. This entry was posted in Travel, Travel-Journal, World Trip 2011. Bookmark the permalink.